Our most convenient product for those who have already learned how to Snowbike. Enjoy everything that Snowbiking has to offer from the comfort of a seat! This is truly a product that the entire family can enjoy together. 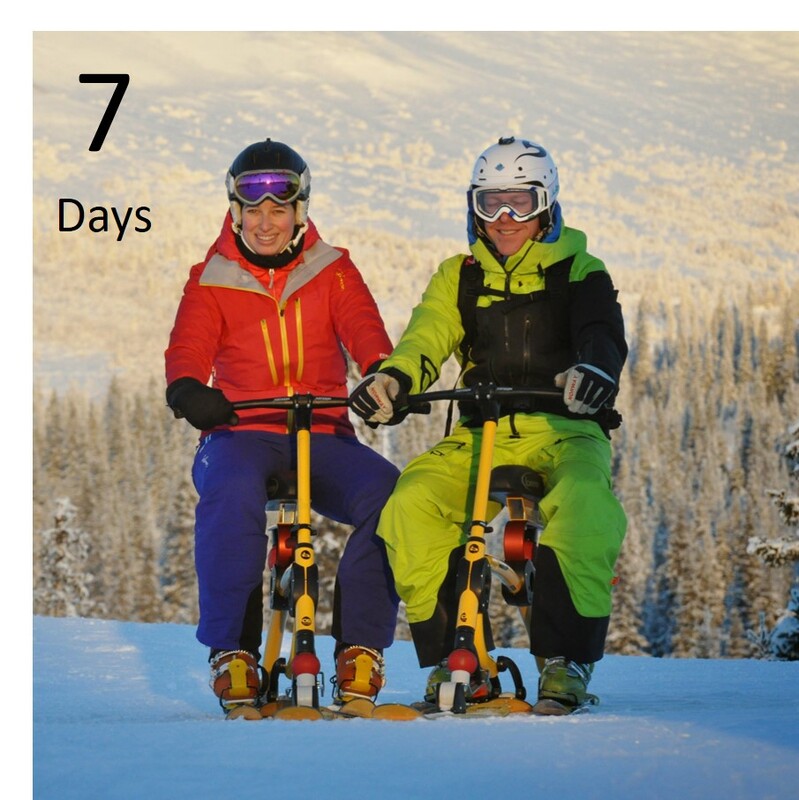 Pick up your Snowbike in the location of your choice, enjoy your on-mountain experience from a resort of your choice, and drop it off at the end of your 7-day rental.